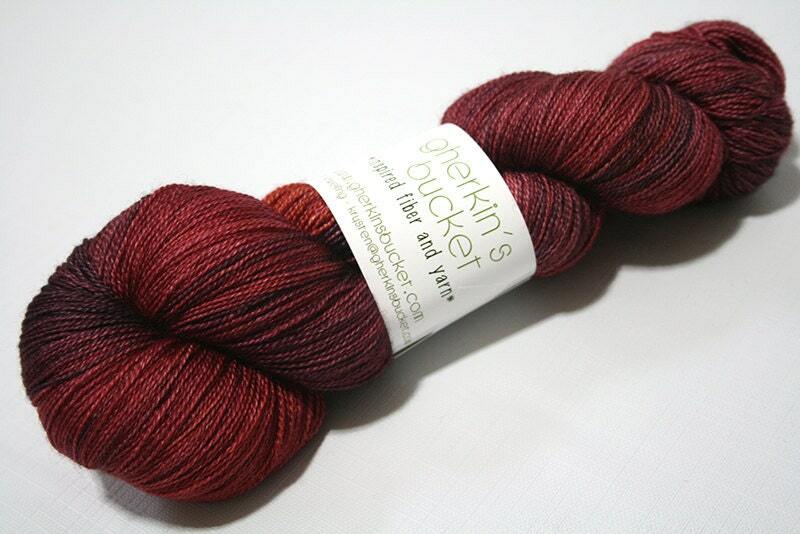 Hand dyed SW Merino & Silk lace for your most beautiful knitting and crocheting projects. This kettle dyed, semi-solid yarn with contrasting color splashes will give your creations the tonal, complex depth of color that only high-quality, artisan yarn can. Figgy Pudding is a medium red, with delicious purple and orange splashes.